Oversized Resort Style Backyard W/Pool & waterfall! AWESOME Layout for Entertaining! ENERGY EFFICIENT, BEAUTIFUL NEW CARPET AND FLOORING, EXTENDED 3 CAR GARAGE. Remodeled Kitchen W/TRAVERTINE floor, GRANITE Counter Tops, Kitchen Island & Dining Area. Separate Living Room and Formal Dining. Master Bedroom W/ balcony, oversize Full Bath W/dual sinks. ALL BEDROOMS are SPACIOUS. Surround Sound, SEVERAL NEW WINDOWS, NEW A/C in 2016, New Interior paint, Hot Water heater in 2014. EXTRA SPACE backing to a WASH with VIEW FENCING,new BBQ,Horse Shoe area, and firepit. 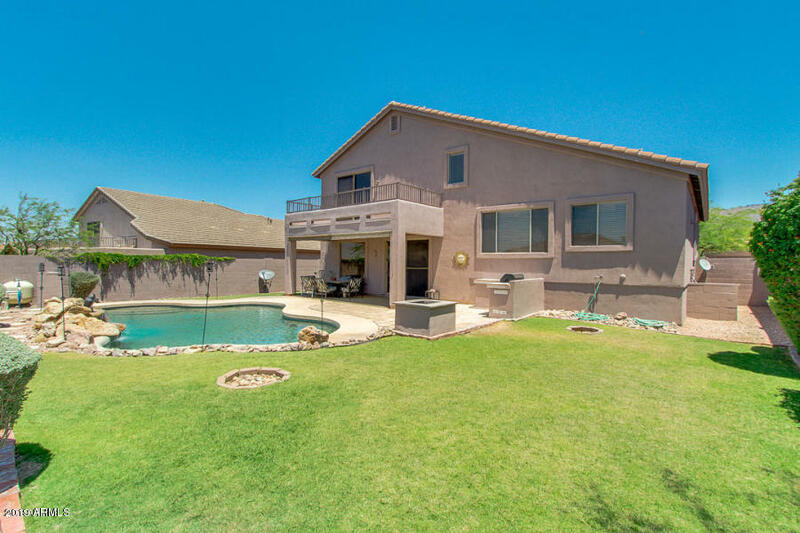 Gold Canyon is a GREAT place to live & offers beautiful Desert Views and Outdoor Living Lifestyle W/hiking trails, golfing, resort & close to lakes & shopping. Located 40 miles east of Phoenix Airport. Pool table does convey!